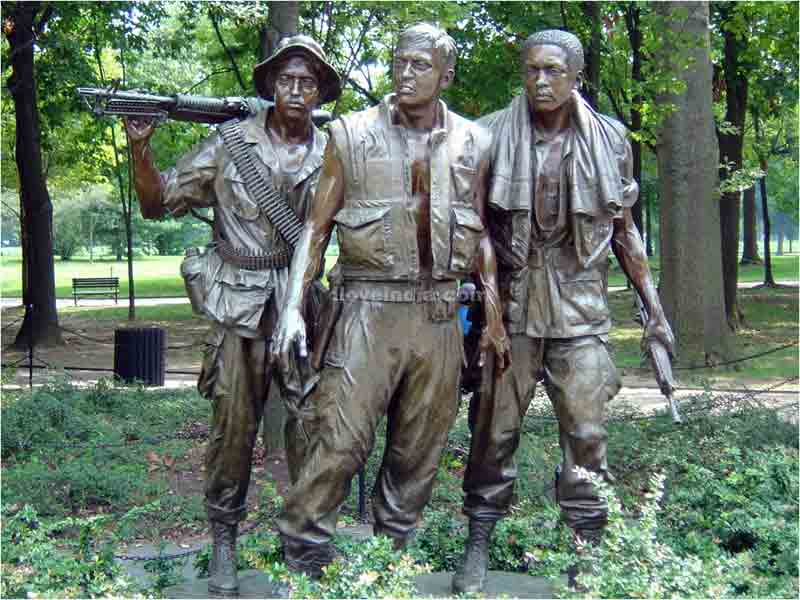 The bronze statue named ‘The Three Soldiers’, also known as The Three Servicemen, is located at a short distance from the Memorial Wall. The three statues represent the three different castes of soldiers, who were a part of the war. These three soldiers, identified as White American, African American and Hispanic American, seem to interact with the wall. Hi I have a friend who would like a figurine model of this picture do you know anywhere I could by one?